In 2019, there will be a new Mazda engine implemented as part of the ZoomZoom 2030 initiative. This very cool technology runs a Homogenous Charge Compression Ignition which is a form of combustion that, like diesel, does not require a spark. The compression alone is enough to ignite the fuel and air mixture efficiently to start the vehicle. This is a cleaner and more environmentally friendly way to rebuild a conventional Mazda engine. Keep reading to learn more about this exciting technology and how it will revolutionize the automobile industry. Toyota has joined forces with Mazda in an initiative to develop technologies for new electric vehicles. They, together with the Japanese manufacturing giant Denso, form a brand new company that is working around the clock to create technology that can bring down the cost of electric car production. The plans were announced at the end of September 2017 when the three companies signed a contract to jointly develop the structural technology for electric vehicles. The three have taken this a step further creating a permanent company that can ensure that the effective implementation of this joint technology takes place. The company is ninety percent owned by Toyota with each Denso and Mazda retaining five percent. It is supposed to research the characteristics and common architecture that leads to the optimum performance and function of EVs from multiple standpoints including the individual components, as well as the whole vehicle. They will also verify component installation and the performance of vehicles realized by the characteristics described in the previous item. Finally, they will examine the optimal concept for realizing product performance as required for classification. Mazda and Toyota intend to use this joint technological development project to create appealing EVs that embody the identities of each brand without contributing to their commoditization. The new company will have around forty staff members that were selected from within the three companies to work together to create new framework technologies for electrification. This technology will later be integrated into cars across all segments, including light trucks. They plan to create an open business structure that encourages other companies into their fold, although it is unclear if those companies would be offered a share in the business. To ensure the stability of the deal, Toyota invested in a five percent stake in Mazda last August. Together Toyota and Mazda will be building a U.S.-based auto production plant for a staggering 1.6 billion dollars. The plant is expected to open and being production by 2021. The powertrain team over at Mazda has been working hard to brew up a fancy new engine that utilizes the latest components. They have been slowly leaking details about the staggering benefits that this “world’s first” technology could be. The engine can convert seamlessly from a Spark Controlled Compression Ignition similar to a diesel engine, to a regular spark-ignition for certain operating conditions. This new technology is supposed to combine the advantages of diesel and gasoline Mazda engines. It aims to achieve outstanding environmental performance, while simultaneously retaining the power and acceleration these vehicles are known for. These four-cylinder engines received tremendous praise when they appeared on the market. They squeezed every last mile out of every gallon. Once again revolutionizing the industry, the Skyactiv-G is a naturally aspirated motor which means that you can expect even more torque. In addition, Mazda claims that you can expect a twenty to thirty percent rise in the powertrain efficiency of their vehicles. This benefit is a product of the engine’s ability to burn “super lean”. Compared with the Mazda engine released in 2008 that had the very same displacement, this new motor promises an entire 35-45 percent more efficiency. Even more impressive is the fact that the new engine’s fuel efficiency will equal, if not exceed, that of the newest Skyactiv-D turbodiesel engines. The concepts behind a homogeneous charge compression ignition have been around for awhile, but their implementation has been commercially thwarted by the inability to control the precise time that combustion will occur. In a diesel engine combustion occurs at the time that fuel is injected into the engine, and in a traditional gas engine, spark plugs are required to activate the combustion process. For the HCCI, there is no simple lever to pull that will control the autoignition. That means that Maza needed to carefully dial into each of those factors in order to create the ability to control its engine. For times when this careful equation is disrupted, these engines are also equipped with traditional spark plugs. One time you may need to use the spark plug option is in low-temperature conditions or when the Mazda engine is under the strain of a particularly high load. Upon its release, Mazda said that their new technology offers an incredible increase in efficiency across a range of RPMs and engine loads that can adhere to most of the driving conditions the majority of us see on a day-to-day basis. All of this talk about new technology and innovation makes you want to get out there and get your hands on it. With the very recent release of the latest Skyactiv technology, people will be visiting showrooms everywhere in order to experience the revolutionary innovation. 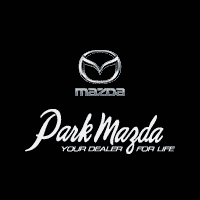 If you are in the Edmonton area of Canada, you should come into Park Mazda for a test drive. You will love the way it feels to be in control of such a powerful and innovative machine. You will know immediately why so many people have dedicated years of their life to creating this engine.